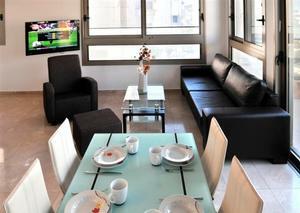 A short walk from the Tel Aviv beaches and the Herbert Samuel promenade, the Geula Apartments offer Luxurious modern design, sun terraces, free Wi-Fi, air-conditioning and satellite LCD TV. Some apartments have balconies with city views. Carmel Market is 20 minutes from the property and 10 minutes away from the Rothschild Boulevard where you can find chic shops, restaurants and cafes. 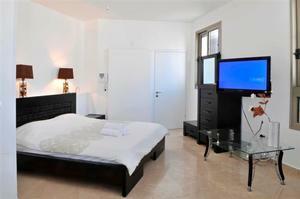 Location is quiet and central.A short walk from the Tel Aviv beaches and the Herbert Samuel promenade.